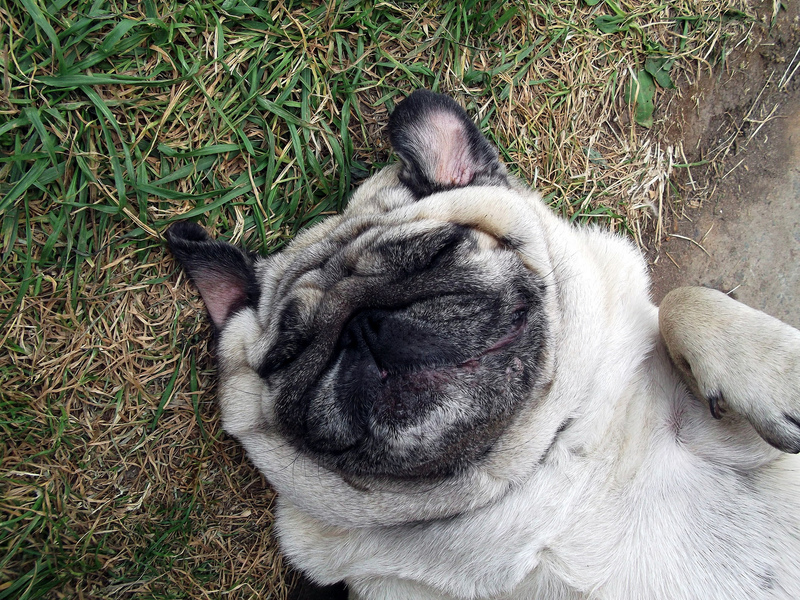 Sometimes we wish we could live a day in the life of our pampered pug. She spends her hours napping, playing, and cuddling (and scavenging around the kitchen floor for food). What could be better? 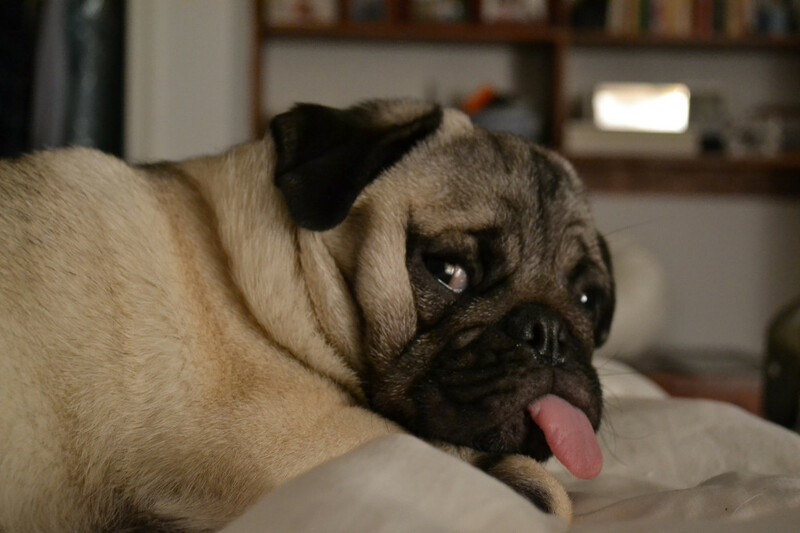 We can’t help but feel like pugs might know how good they have it, and be rubbing it in a little bit when they stick out their little pink tongues. There are three things that never fail to brighten our days… 1) Being with our pug, 2) Meeting more pugs, and 3) Pugs in costumes. 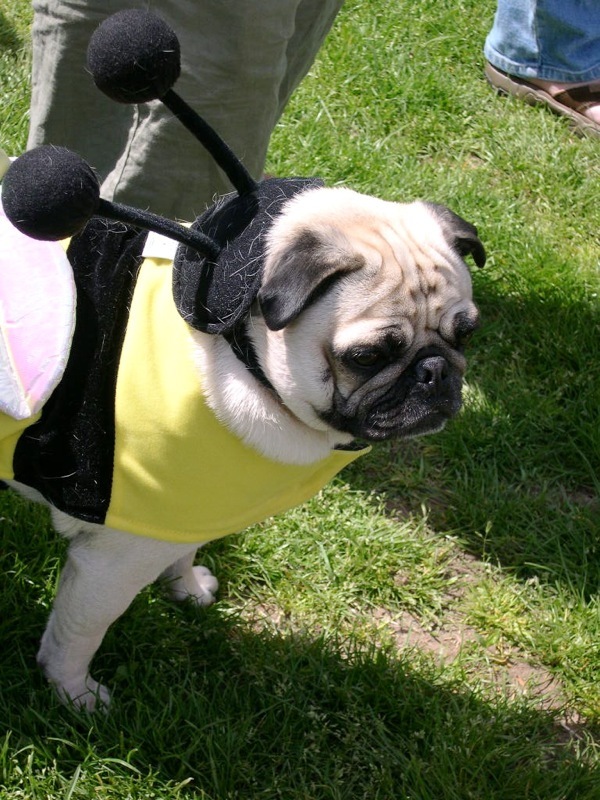 It’s true that many types of dogs look good in costume, but we think that pugs pull off costumes particularly well. You could almost reach out and touch the concentration and resolve coming from their wrinkly foreheads. 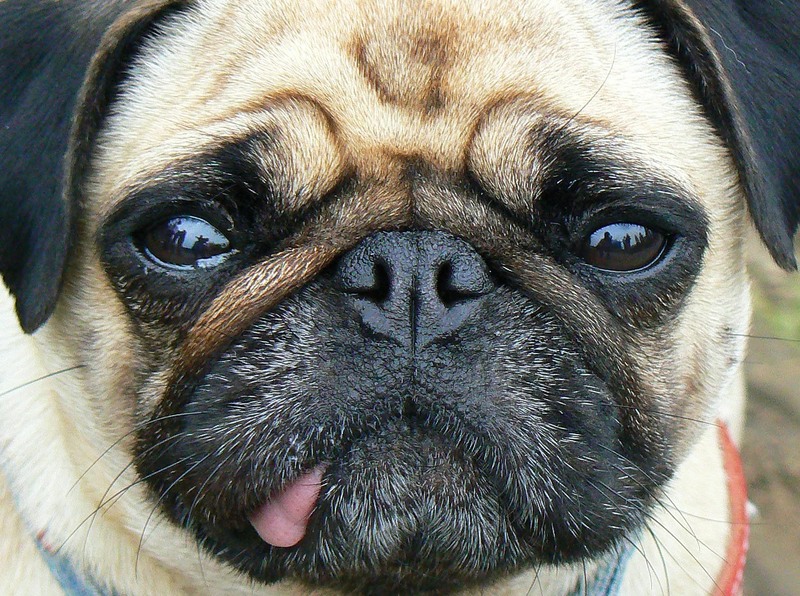 We love how sweet and devoted pugs are. 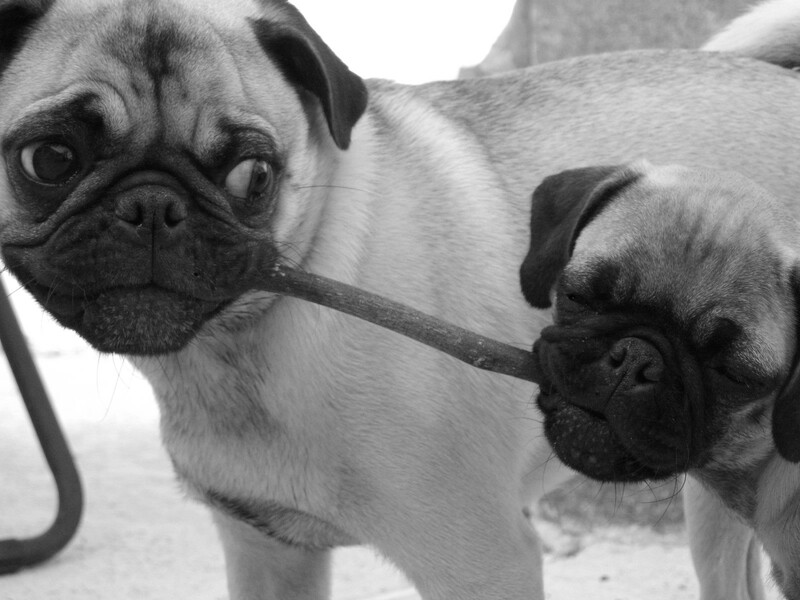 It is heartwarming to see pugs playing together and sharing their toys. 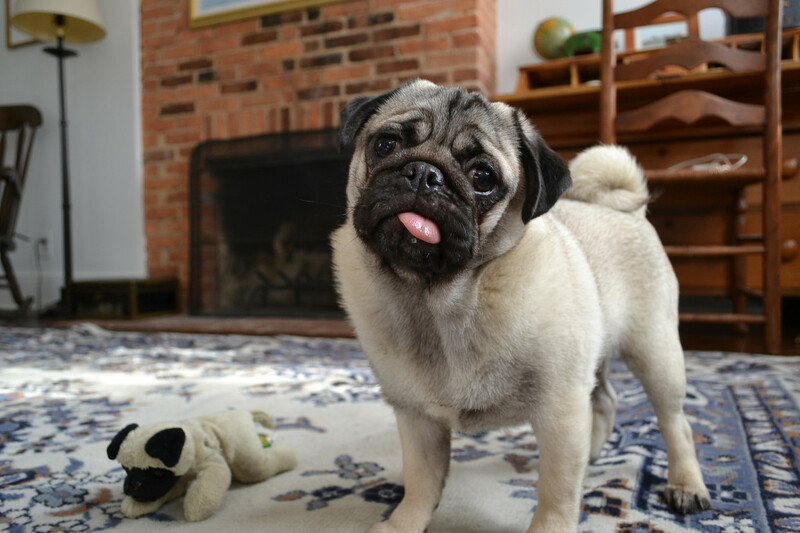 We especially love it when our pug Nickie brings us her favorite toys and lays them at our feet. It’s almost like she’s trying to give us a turn to play with them. Let’s face it. Everyone has those days now and then. You know the ones: you wake up late (and tired), and then nothing seems to go your way. Sometimes you just have to take a step back and laugh. Here, this might help. 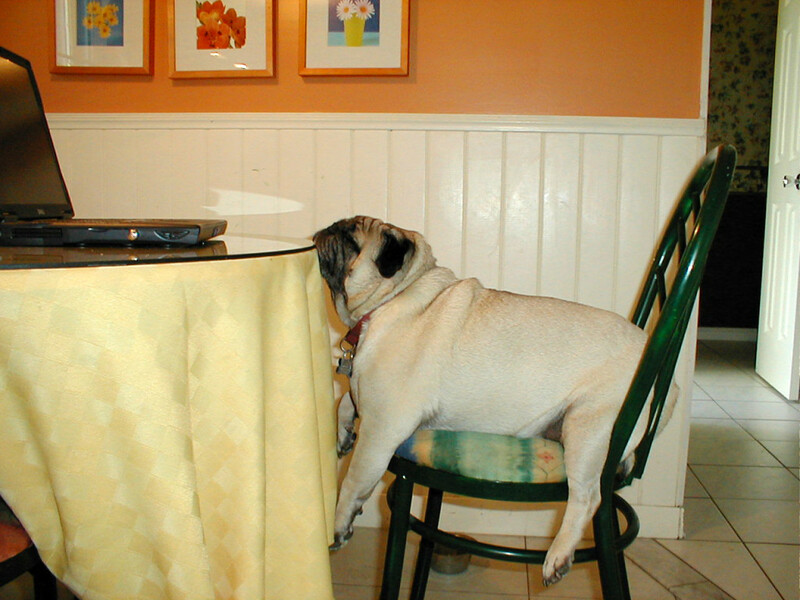 Pugs seem to have an uncanny ability to stroll in and settle on our feet or climb onto our laps whenever there is food. They seem to be interested in whatever we might be eating or planning to eat, whether it is a fruit, a vegetable, or bacon. 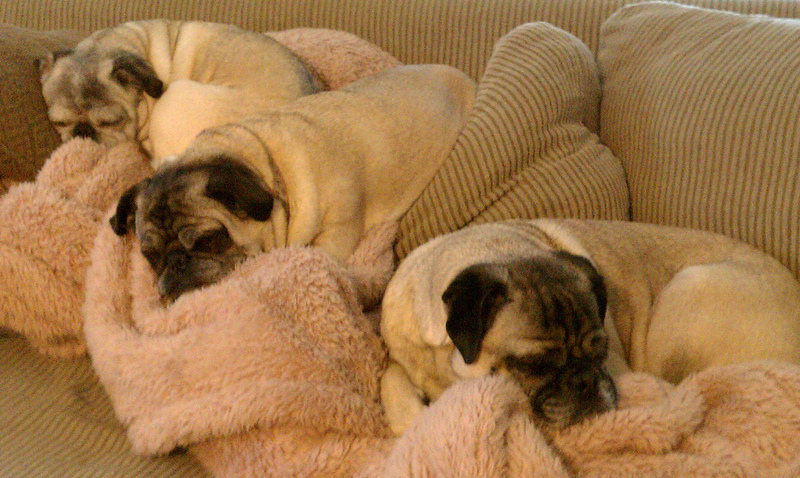 We’re always careful about what we share, but we like any excuse to have our pug close by! Smells So Good You Could Eat It! 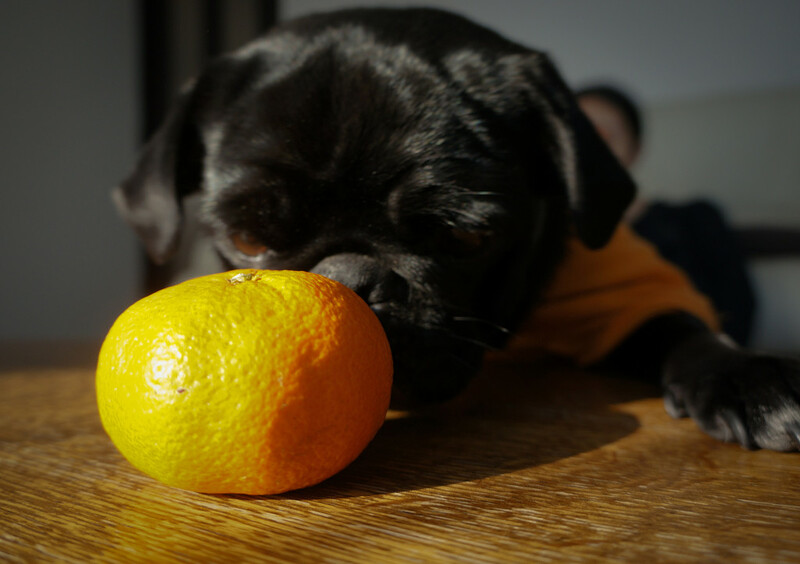 We’ve noticed that our pug loves to smell flowers (and gets quite excited about it). It seems like she is not alone! 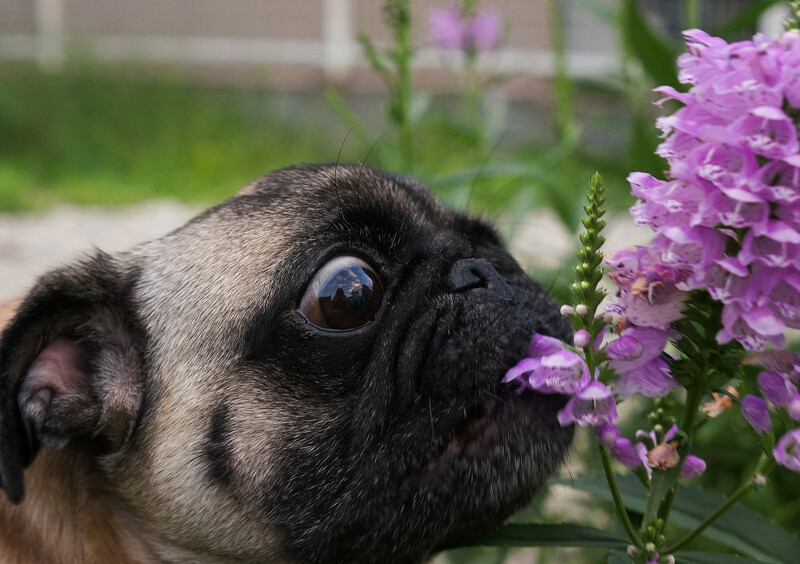 Does your pug enjoy taking a minute to stop and smell the flowers? We aspire to host awesome events like pug sleepovers and perhaps pug tea parties, but until then we will just have to live vicariously through the pictures of people enjoying the company of many amazing pugs. Pugs love being close to their owners. They were bred to be companions and are very cuddly dogs who love to be on your lap or close at your heels. There is no such thing as personal space in a pug’s eyes!